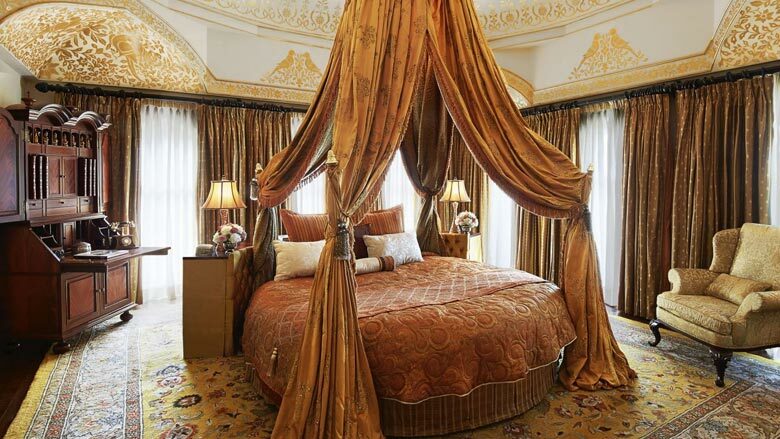 Tens of thousands of people visit Jaipur annually and the city has plenty of hotels to cater to all market segments. Jaipur has a multi-layered narrative, you will encounter underground at any turn. There’s never a shortage of drama,” said writer Shatrunjay Singh. This is true: the regular visitor can be taken over by the city’s most famous places, including the fortresses of Amer, Nahargarh and Jaigarh. There is also the pink sandstone Hawa Mahal, also known as the ‘Palace of Winds’, and one of the most recognizable buildings of the city. Book Rajasthan packages with Swan Tours at best prices or call 011 23415601. Other places that make it on most tourist routes are the city palace, of which remains of the royal family of Jaipur, the JantarMantar, an astronomical observatory, the Albert Hall Museum and the Rambagh Palace, a Maharaja Palace. The most celebrated places of the city will certainly magnetize you, but Jaipur has its hidden treasures. For example, while you are still in Amer, you need to visit the Anokhi Museum of Hand Bloc Printing at Khedi Gate, including a shop and cafe. Right next to it is the step well (PannaMiyaKaKund) and a temple of Hindu god Shiva, known as the Bihari Temple, which has its name of a famous Hindi poet. One of the oldest remaining places of Bhairav worship, the HarshnathMaharaj Temple, is close by. This is the place where Bhairavs, Lord Shiva’s worshipers traditionally performed their hairdressing ceremony. When you come from the Khedi Gate, you will find two hidden gems: the artificial lakes of Chota and BadaSagar. When driving to Amer, stop the fort that Jaipur dominates, through the beautiful JagatShiromani Temple, opposite another temple, the Shiv Parvati. I recommend to sit here for a few moments and let the serenity come in. 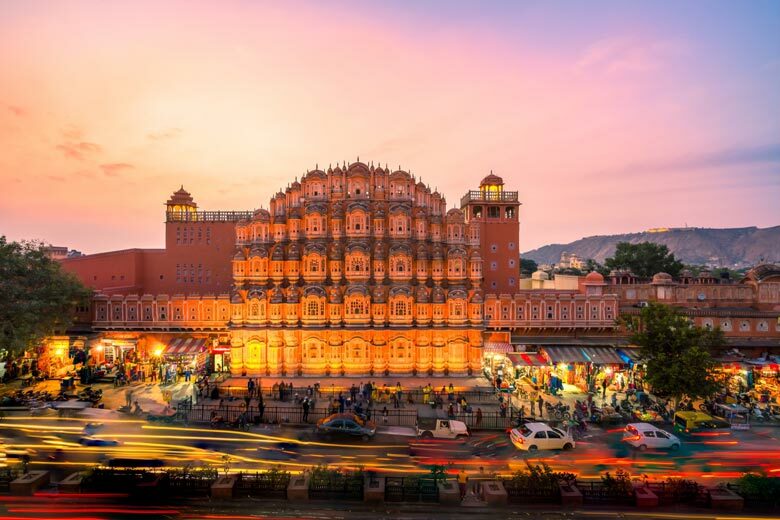 There is nothing better than walking along the HawaMahal and shopping around there. The RamchandraJi Temple, opposite the HawaMahal, found in the SerahDeori bazaar, should not be missed. 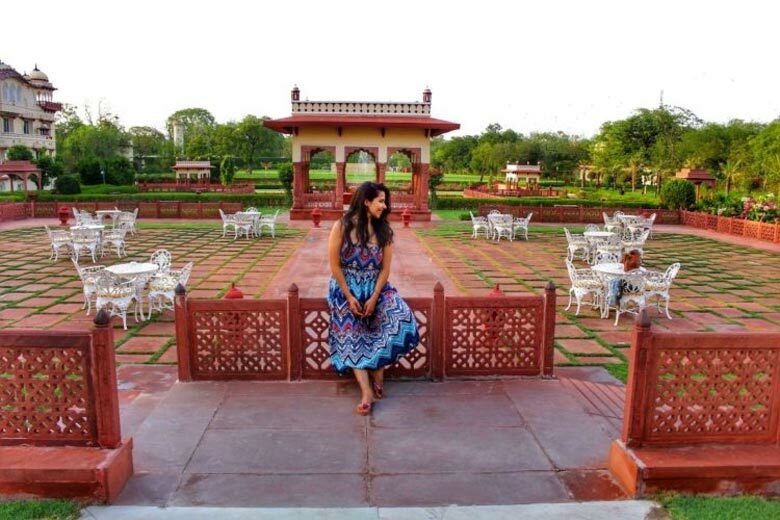 If you are in the City Palace, it is worth visiting the Talkatora Gardens, which are just outside the Govind Devji Temple. As you walk around the walled city, the Maniharonka Rasta (Tripolia bazaar) is a magical experience. Take the glint and glare of the rows of shops selling handmade bracelets. The Sanjay Memorial Museum near ThathereWaalonka Rasta is a treasure chest for folk and miniature paintings and ancient manuscripts. the adventurous visitor has to go to DeraAmer for an elephant ride through the jungle. It ends with a simple and traditional Rajasthani lunch, a pure pleasure. Seesiryawaas, a village just outside the jungle around Amer, is worth exploring. A guide is advisable. The newly renovated JalMahal, or ‘Water Palace’, located on an island in the middle of a lake, has a pleasant promenade and a garden best for sunset when the marble floors and the jaali grill are working. Is Illuminated from behind. It’s a breathtaking sight. Private tours can be organized in advance. You can do this through the JalTarang project office. Surprisingly for such an overwhelmingly Hindu state, Rajasthan has a strong tradition of non-vegetarian cookery. This may, in part, be due to the favourite sport of the ruling Rajputs, hunting or shikar, and many of the non-vegetarian recipes evolved in the royal kitchen — the rasoda. Recipes were sometimes exchanged among the princely families of the region and the other states of the country. Some of the princes, such as the Maharaja of Sailana, were expert cooks. Attention was paid to prescribing the appropriate food for daily meals as well as for special occasions. Though shikar is restricted today, the Rajputs have maintained their tradition of non-vegetarian food to the extent that even their vegetarian dishes are said to have the flavour of meat dishes. Mutton dominates their food: the meat of lamb or goat is prepared in a variety of curries, barbecued and roasted in the traditional Indian style or minced to make kima or kebabs. Rajput cuisine also includes chicken, fish, pork, rabbit in the permitted season, as well as partridge and sand grouse. Of the extensive list of dishes, the most savoured preparation is the sulla, which was found easy to cook at home as well as on the battle field. This consists of marinated pieces of lamb, skewered and grilled over charcoal in the traditional style. By and large the food is rich and hot, with a strong flavour of onion, garlic, red chilli powder and aromatic spices. However, a special white curry seasoned with yoghurt and cashewnuts excludes chilli powder and turmeric. Safed mas or meat cooked in the white sauce is a ceremonial delicacy. Vegetarian food is patronised by the leading business community, the Jains. Since vegetables could neither be grown nor imported due to the scarcity of resources, the traditional vegetarianmenu was dominated by dal, split gram or chickpeas, and in particular by yellow gram. The flour of yellow gram is used for curries like kadhi or gatta. Dry balls of ground gram provide another interesting curry —mangodikasag. Today the irrigation of previous desert tracts of Rajasthan has enabled the cultivation of a wider variety of vegetables, which has greatly extended the range of preparations. Away from the lavish vegetarian and non-vegetarian cuisine, everyday food for the majority of people is simple. The daily diet consists of buttermilk and bajreki roti or millet bread, eaten with onions and a chutney of red chillies and garlic. At best the meal includeskersangri (the vegetable of a thorny shrub), a simple potato curry referred to as jhal, and a fried bread made of white flour. A dish relished by both rich and poor is dal batichurma – gram, baked bread balls and a sweet made of crushed bread. It is usually eaten outdoors. For the rich, who have evolved a number of variations, it marks special occasions like the picnics held during the monsoon. But those who stick to the basic preparation see it as an al fresco dish to take to work or to a fair. Any kind of Rajasthani food is best eaten at home since, unlike other more cosmopolitan areas, eating out is not part of the city’s life-style. 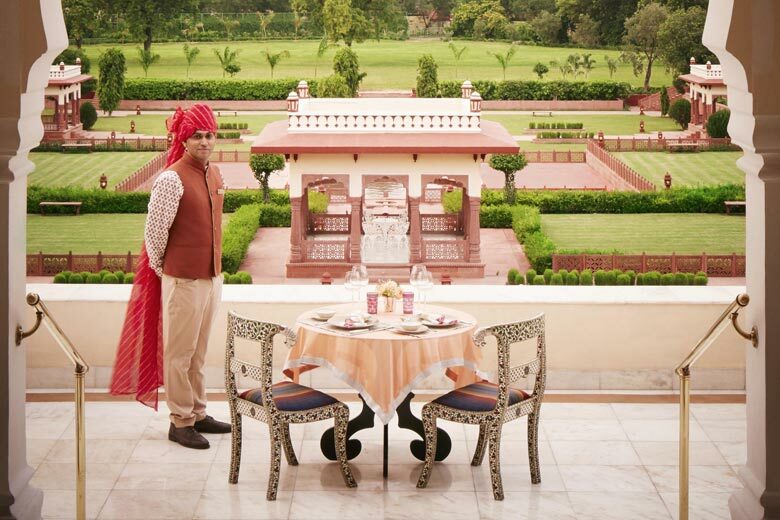 Of the luxury hotels, the best food in town is said to be served by the Jai Mahal Palace Hotel of the Taj Group. The food there in-cludes non-vegetarian specialities like chicken and muttonsulla and, for vegetarians, gatta curry and ker-sangri. The Rambagh Palace too has a pleasant restaurant and a wonderful bar. Another well known restaurant is Niro’s, on M.I. Road, which was founded in the 1930s. Although it does not serve traditional Rajasthani cuisine, the Mughlai, Continental and Chinese food is fairly good. The durg or fort at Nahargarh has a restaurant which is worth visiting during the tourist season — more for the nnantnrlllnr views it affords of the citythan for its food, which (though good) often comes after a long delay. The Walled City’s favorite eating place is the LMB, short for Lakshmi MishthanBhandar, a restaurant which started as a sweet shop in Johari Bazaar. In 1954 the celebrated sweet shop started an exclusive vegetarian restaurant, and in 1965 expanded into a hotel — all under its well-known banner. LMB’s vegetarian food is of the ortho-dox Brahmans: all preparations are made in vishudhghi (clarified butter) and even onion and garlic are excluded from the ingredients. Its Rajasthanispecialities include two gram flour curries, kadhichokhanwali and gatta. Among the variety of breads served is missi roll, while LMB’S savourydahibara, made of yoghurt, is justly celebrated. The most famous offerings of LMB are its sweets. Two of the most popular sweet specialities are ghewar, a festival sweet traditionally made for the Tij festival, and rasmalai, a preparation of cottage cheese balls cooked in milk flavoured with saffron and served sprinkled with chopped pistachio nuts outside, beside the sweet shop, is a fast food counter which serves hot snacks like alutikia and samosas. Perhaps the best place to sample the traditional vegetarian food of Rajasthan is the Chanakya Restaurant on M.I. Road. Their Rajasthanithali comes with all the staples of khadi,gatti and dal batti. This food is very different from the Indian dishes served up in restaurants in the UK and elsewhere abroad, relying heavily on different dals and lots of ghi. For streetside snacks, head further down M.I. Road to Lassiwala, said to serve the best lassi (yoghurt drink) in Jaipur, served in small, unglazed earthenware bowls. The narrow lanes in the walled city add a plethora of visual delights and, if you are a game, also have delicious dishes. Spicy dal kachodis, lentil-based puff pastries, must be picked up from opposite Surana Jewelers near Haldiyonka Rasta. A few meters away, in the same lane, are Sambhar Pheni Wala, where you can find smakelij-in-mijn-mouth sugary fenis and ghewar, a sweet Rajasthani delicacy that is typically served in winter. Aloo tikki, a variety of potato chops, are best eaten from Gopaljika Rasta, in Johri Bazaar. What’s not to be missed is the aloo pyaz ki sabzi, a potato-based dish and Bejad Roti, a kind of Mahaveer RabriBhandar flat bread in the Chandpole bazaar. Rawat Misthan Bhandar, Dish of Pyaz Kachoris, and Mawa Kachoris, Puff pastry, typical of Rajasthan, which come in sweet and savory breeds. If you want to try a traditional meal, they also serve dal, baati, a kind of unleavened bread and choorma, a sweet dish of grains. Samrat, a small food stall in Chaura Rasta, serves the best samosas – they usually sell within half an hour! I recommend it early in the morning or early evenings. For the best laalmaas in the city, the Chandravanshi Pavallion at Rajputana Sheraton is the most convenient place. However, if you get them up to six hours, it’s best to go to Surya Villa in Peelwa Garden on MotiDoongri Road for a smoked version of the same dish – an unforgettable experience. A creamy peperkip is served by Moti Mahal Dhabha on M.I. Just before you arrive, Chameli Bazaar is going to shop for silver baubles. 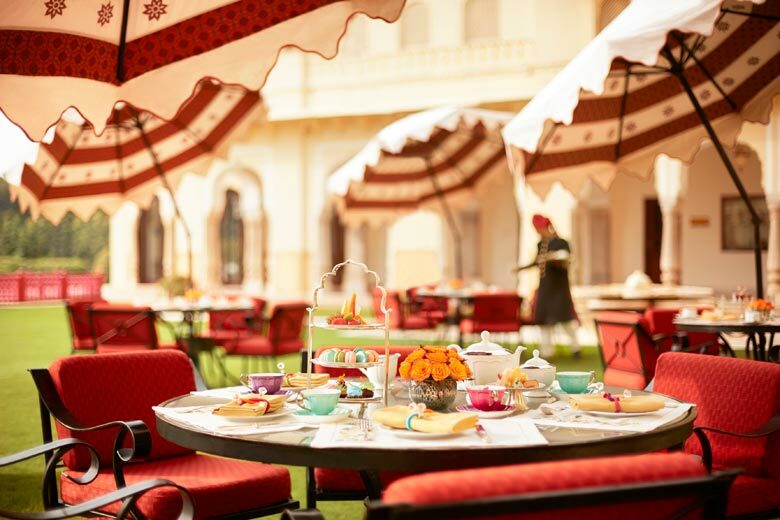 For a truly generous experience, do not miss a cinnamon meal at the Jai Mahal Palace Hotel or in the restaurants of the Rambagh Palace Hotel’s SuvarnaMahal or Rajput Room. Man Singh ji from Kasteel Kanota cooks delicious palatables with the most beautiful delicacies that remind the royal past of the Rajput state. Anokhi Café, located in the textile museum, is the place to go for healthy organic salads, sandwiches and the best cheesecake in the city. Jaipur forces you to come back a few times; there are too many layers to get rid of. If I’ve lived here my life, I still feel like I just started. 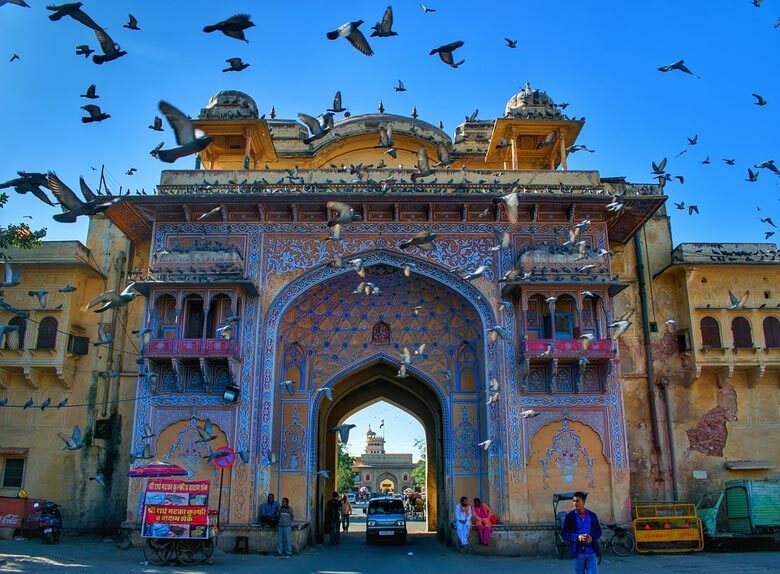 For more information about what to see and where to eat in Jaipur contact Swan Tours one of the leading travel agents in India. 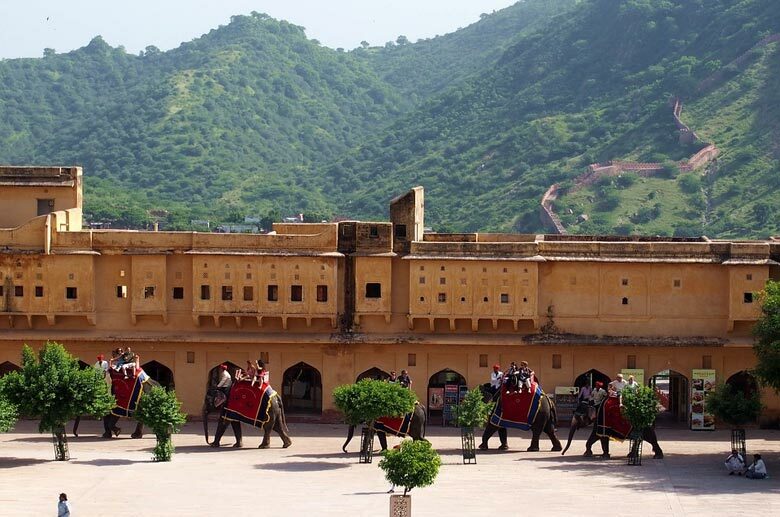 For more information about what to see and where to eat in Jaipur contact Swan Tours one of the leading travel agents in India.